There are plenty of reasons for any corner of the house with mirrors. Round, rectangular, with or without frame… The mirrors will seize the decoration by its many and various uses. Do you want to know some of them? 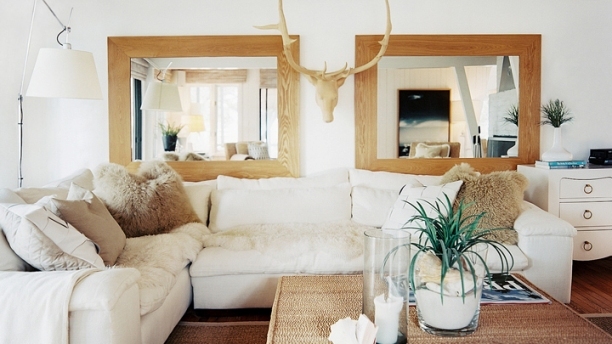 Mirrors are much more than accessories with which to decorate the house. They are a powerful source of light to illuminate and even highlight elements. Discover the other uses of mirrors. Mirrors play an important role in the mythology of many peoples. According to some legends, the image that is reflected is associated with the soul of the people. That is why there is a belief that vampires (which have no soul) lack reflex. There is no doubt that mirrors have fascinated mankind since ancient times. An element that also conquers the decoration of the house thanks to its many possibilities. One of the main uses of mirrors is to contemplate ourselves. That’s why this accessory is usually in the bedroom, the bathroom and the hall. However, decorative mirrors have many other applications. For example, multiply the light of the room. The mirrors reflect the light thus enhancing the luminosity. That is why it is recommended placing mirrors close to light, both natural and artificial, and especially dark rooms. The mirrors are also incredibly decorative. Alone or accompanied, these accessories help us put the finishing touch of style to any decor. We can choose a mirror in XL version or choose a composition by placing several mirrors of different shape and size. In any case, the mirrors contribute to gain amplitude in our environments. 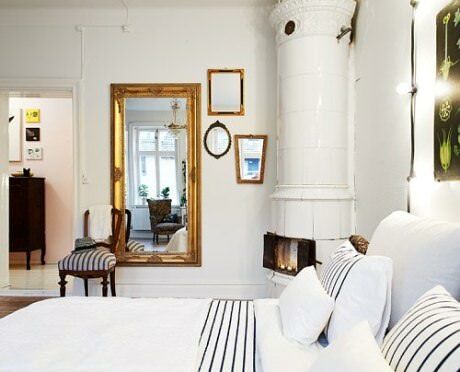 Another unusual use of mirrors is that it allows us to highlight some element of the room. In this sense, we have two options: we can place the mirror on a piece of furniture (such as above the fireplace) or take advantage of the reflection of the mirror. The key is to place this accessory in such a way that reflects a detail of the stay that we want to highlight or enhance. We cannot talk about mirrors without mentioning Feng Shui. This ancient Chinese philosophy, mirrors are important at home to achieve well-being and harmony. Although to get it, they must reflect something nice. In this way, they will allow positive energy to enter the home. Feng Shui also reminds us that mirrors should not be faced with any door, since according to this philosophy good energy will escape through it. Finally, the mirrors also help us put the trendy touch to the decor. We just have to choose the right model. One type of mirror that has become very fashionable is the stand mirror in XL version. Leaning against the wall of the bedroom and the hall, this element brings a touch of trend and differently.